Giles Etherington completes Mentoring For Growth peer-to-peer mentoring programme. As part of his Continual Professional Development, Giles Etherington took part in the Scottish Borders Mentoring for Growth programme. The Scottish Borders Small and Micro Business Mentoring programme is a pilot project, and could be thought of as a ‘living’ project that is expected to go through a number of iterations over the eighteen months of its length. The project is a result of a two year (and ongoing) collaboration between the Scottish Borders Chamber of Commerce, the Scottish Borders Exporters Association and is supported by the FSB (Scottish Borders). Representatives of these organisations are founders and voluntary active participants (senior stakeholders) of the programme. The Mentoring for Growth peer-to-peer group mentoring programme is designed to assist ambitious Small and Micro Businesses within the Scottish Borders to grow their businesses. Each business is given 8 months of group/peer to peer mentoring. They will not only attend Business Content Sessions run by a seasoned content specialist, they also receive peer to peer mentoring from their fellow group members and interim 1-to-1 support from the programme facilitators. The Business Content Sessions include vital subjects such as strategy, finance, operations, sales, marketing and more. Hannah a countryside artist. Working mainly in pencil, she record the details of the fields and woodlands and hedgerows around her. Hannah’s aim is to create calm, delicate drawings, carefully observed and full of character. She then uses these drawings to create my range of charming, nature-inspired cards and stationery. Since 2010 Wonky Woolies been knitting vibrant Wonky designs and customised bobble hats for customers throughout the UK and as far away as New Zealand! Originally starting as a hobby, Alison & her mum Carol began by knitting jumpers and cushion covers, among other things, for themselves and friends. Shortly after, Wonky Woolies became established as a bespoke knitwear company specialising in custom design beanie hats, which then became an award winning company. NS24 is a new bookkeeping firm, based in Galashiels. NS24 Ltd are practicing members of the world’s leading bookkeeping organisation, The Institute of Certified Bookkeepers. As such they are governed by professional conduct regulations, required to keep our knowledge up to date, follow best practice guidelines and maintain high professional standards at all times. Tartan Plus Tweed Ltd. is located on Bank Street in Galashiels in the Scottish Borders. They are a family owned business, providing kilts, kilt hire, Scottish gifts, and much much more! Tartan Plus Tweed try to keep everything as local as possible. From the cloth to the final product, they provide traditional hand sewn kilts, tartan trousers, sporrans, belts, kilt socks, cushions, cashmere scarves, jewellery and much more that is all still made right here in the Scottish Borders. 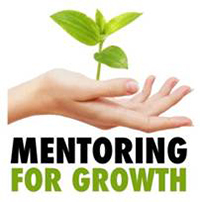 “I have found the Mentoring For Growth sessions extremely valuable. Taking time out of the day-to-day running of my business and discussing how to grow the business, with other like-minded business owners, has allowed me to focus on areas I may not have thought of on my own. We are five very different businesses, whose paths would probably not have crossed without this programme. I believe we have all learned a great deal from each other. There is a genuine desire to help each other, in the sessions, on the Facebook group and through emails and phone calls between sessions. As a sole trader, it is great to be able to candidly discuss business issues with other people who ‘get it’. Learning from their experiences and being able to pass on my knowledge and experience has been very worthwhile. Leaving each session with three or four action points and knowing the next session is coming up (and knowing you are going to have to explain to the other what you have and haven’t done) has been a real catalyst to getting things done. I have now written my first business plan with real purpose, that concentrates on the areas of growth, rather than just writing a business plan purely as a required exercise. I have already seen the many avenues to growth open up to me and I am expecting the next year to be a very busy one. Watch this space! https://brandsatellite.co.uk/wp-content/uploads/2019/01/Mentoring-for-Growth.jpg 425 1200 Giles Etherington https://brandsatellite.co.uk/wp-content/uploads/2015/12/Brand_Satellite-3.png Giles Etherington2019-01-16 16:16:282019-01-31 16:30:27Giles Etherington completes Mentoring For Growth peer-to-peer mentoring programme.